Spectacular mountain views. Sleeps 8, fast WIFI, pool & hot tub in clubhouse. I have been vacationing in Summit County for 30 years. I would like to offer you a clean, comfortable, and an affordable place to call home for your stay. The place has a balcony and many windows with amazing views of Keystone and Lake Dillon. The condo has a 60 inch (in the living room) and 42 inch (in the loft) HD Smart TV with 73 HD channels and 73 channels of Sirius XM Radio. There is 2 separate high speed Wi-fi internet available for all your digital needs. The condo has one bedroom with a King size bed, one bedroom with a Queen size bed, and a loft with 3 twins, a Queen size bed and a futon bed/couch. All the beds are less than a year old. The kitchen has all the necessities you will need for your stay, including dishes, utensils, pots, pans, spices, and a water filter. It has 2 bathrooms one with a tub , the other with a shower stall. Each one has a supply of shampoo, conditioner and liquid soap. The living area has a sectional couch with pleanty of seating and a fireplace.There is a lovely clubhouse next door to the condo that offers a pool, hot tubs, sauna, racquetball, weight room, pool tables, ping pong, video games, fireplace, wireless internet, locker rooms, and a laundry room... all for your needs and enjoyment. The clubhouse also has full kitchen and private room that you are able to reserve for any large function. The beautiful views and proximity to the ski resorts. Wonderful property with a beautiful view! Parking is convenient right at the bottom of the stairs. Kids had a great time in the pool and hot tubes. Nice clean property as well. Perfect location for our ski trip. Nice amenities as well! Would most definitely stay again! The view out the patio was spectacular! The pool was cold but the owner was acting on my concern. The view was amazing! However, the temperature in the queen bedroom was bitter cold and the king bedroom was hot and cold all night alternating without touching the thermostat. The king bed was also terribly uncomfortable. I am sorry to hear that the guest thought the King bed was uncomfortable. The bed is a newly purchased pillow-top mattress with a removable down mattress topper. The down topper may make the bed a little too soft for some people, but it can be removed. The temperatures were unseasonably cold at night during this stay. Sometimes when the fireplace has been on for awhile, the thermostat may not recognize the temperatures in the bedrooms. This may happen when the bedroom doors are closed. I would recommend keeping the bedroom doors open when the fireplace is on to circulate the heat. There is a supply of extra blankets in each bedroom closet. Very Nice place, we love the view on the balcony to the mountains. We love the condo, very clean. The kids loved the loft. We all loved the swimming pool and the gameroom and the gym. We did enjoy the stay. Enjoy the Colorado Rocky Mountains! A Treehouse Condominium in the Wildernest Area in beautiful Silverthorne, Colorado. 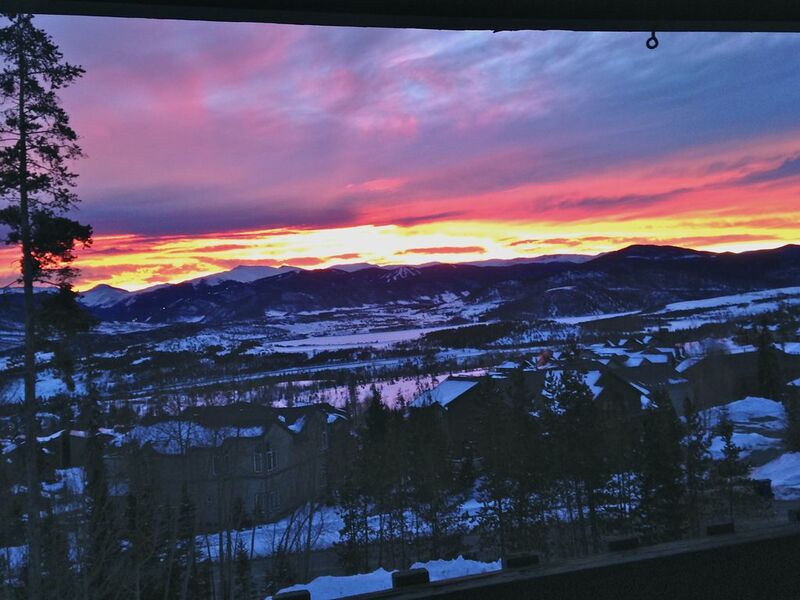 Close to Keystone, Breckenridge, A-Basin and Copper Mountain Ski Resorts. Walking distance from hiking trails and the Summit Stage bus stop. Near the Silverthorne Outlet Malls and plenty of other shopping. For reservations of seven nights or more the cleaning fee will be waived.